Marketing Agency vs. Internal Hire: Which Should You Choose? It’s a question I hear often when meeting with small business owners: “Why should I hire a marketing agency over an internal resource?” Undoubtedly, it’s a fair question to ask, and one that I would encourage any small business owner to ask when seeking marketing expertise. The answer will be different for every business because each business has its own unique goals and challenges it faces. Think about it – at a marketing agency, you’re given access to a full team of marketers and specialists, including project managers and strategists, web developers, graphic designers, and so on. When looking to hire an internal marketing coordinator, for example, it can be difficult to find someone who is proficient in all of these skills. By hiring a marketing agency, you’ll receive top-level quality work for less than what you’d typically pay a full-time coordinator. With a full-time internal hire, they’ll be exposed to your business for at least 8 hours a day, 5 days a week. As a result, they’ll know every little detail of your business, from service and product details to customer policies. An agency will only become aware of these intricacies if and when they are shared with the team. It’s important that internal resources share as much information as possible with their agency to get the best results from their marketing. As briefly mentioned in the first point, a marketing agency provides a full team of resourceful marketers waiting to be called upon for their knowledge and assistance. By hiring a marketing agency to support your internal team, you’ll provide them with more time to focus on their core tasks, while additional marketing-related tasks, whether strategic or tactical, can be assigned to the marketing agency to handle. By burdening your existing staff with an extensive list of actionable items, you may be contributing to a decline in productivity due to burnout or exhaustion. While it truly does depend on the needs of the business, I find that the best outcome for most businesses is often the result of a collaborative approach between internal resources and marketing agencies. Each party has value in its own right, and when internal resources are able to share business goals with their marketing agencies, that’s when you’ll see the most from your marketing efforts. Contact CreativeWorks Marketing to begin your collaborative marketing journey today! I wanted to share with you a fabulous infographic that uniquely captures the idea of how a marketing strategy is like a road map to marketing success. 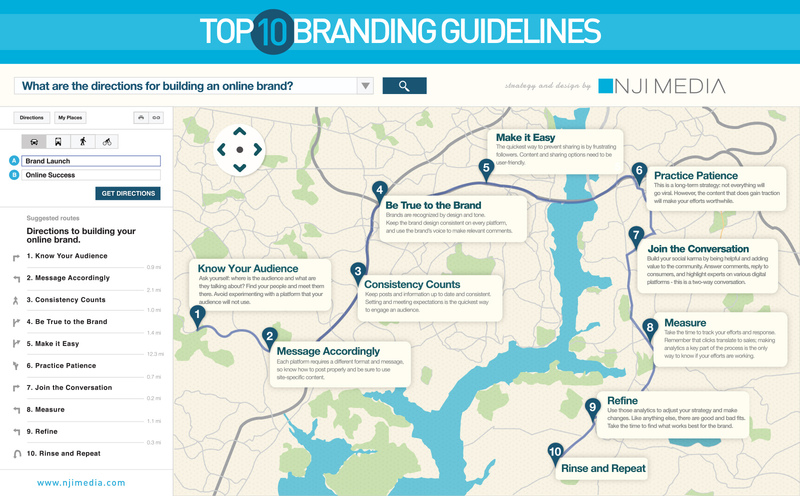 This graphic uses the visuals of the familiar Google Maps, to take the business owner through the top 10 “stops” or steps that one must take on their journey to get to their final destination, being their marketing success. As always, the bottom line is that there needs to be a “map” or strategy that ties all of your marketing together. No marketing tactic will provide long-term benefit for your company if it is not tied to a marketing strategy. I am always interested in hearing from you. Did you enjoy this infographic? What is your take away? Do you think having a strategy or map to follow makes sense for your business success? Let me know in the comments below. Is Marketing More Than a Good Ad? Marketing is an ad. Marketing is a brochure. Marketing is a press release. And more recently, Marketing is a Facebook page, a LinkedIn page, or a Twitter stream. At least, that is what many SMB owners think. But in reality marketing is strategic, not tactical. Marketing sits at the intersection of the business and the customer, so it makes sense that most businesses seek out new and innovative ways to attract customers. Although some tactics like a new website, online marketing, videos, and brochures may initially attract customers to your business, resulting in a “boost” in the short term sales, I can guarantee that ad hoc, reactive tactics do not have long-term growth results. Let’s face it, customers are fickle and with thousands of options and competitors out there, businesses today not only have to attract the customer, but build loyalty to keep that customer coming back. Brochures and even websites alone do not build customer loyalty, your brand and brand values build loyalty. Branding is part of the process involved in a marketing strategy. Sometimes a business owner understands that they need a more permanent solution to their marketing and sales growth, but they are not exactly sure what they need. In the world of marketing there is only one true answer to increased growth and that is to have a marketing strategy. Begin with a competitive analysis – The primary goal is to analyze your competitors to find out their strengths and weaknesses so that you can make knowledgeable decisions about your marketing strategies and set the stage for creating your unique selling proposition. Understanding customer needs, wants, buying habits and future industry trends may also be included in the analysis. Define your audiences – Clearly identify whom you will be targeting with your product/service. Define your unique selling proposition (USP) – The primary goal is to clearly define what makes your product/service unique and stand out from your competitors. Create a brand identity – The goals here is to outline what value your brand has in the market place, what values it provides to your customers and what colours, tone and overall look your brand should have that best reflect your USP. This is much more than a logo. Create a tagline to support the brand. The new tag will reflect the direction of the brand and emphasize the expertise of the business. This tag along with the logo will effectively position the brand in the minds of the target market by creating a unique identity. As you can see, there is a lot of thinking and planning that goes into the development of a marketing strategy and none of it involves creating a brochure or website. Like building a house, your marketing strategy is your foundation, and we all know what happens to a house without a solid foundation! 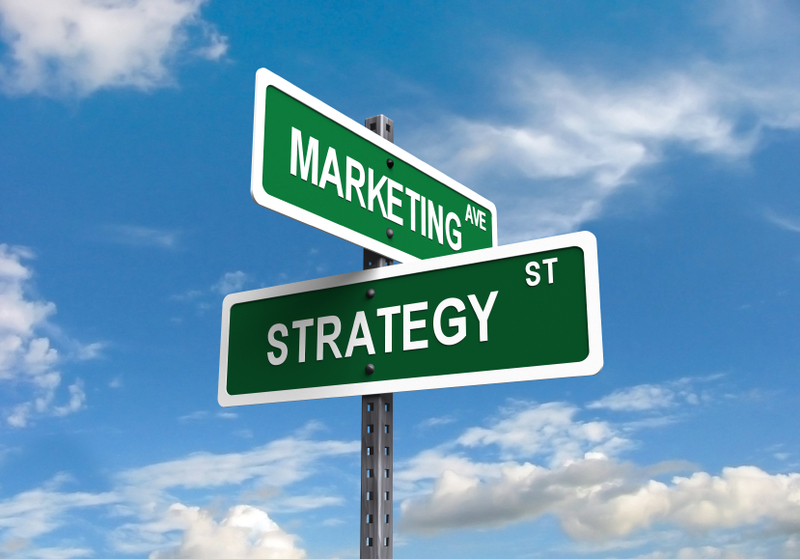 Do you feel that you need a marketing strategy, or have you built your marketing without one? 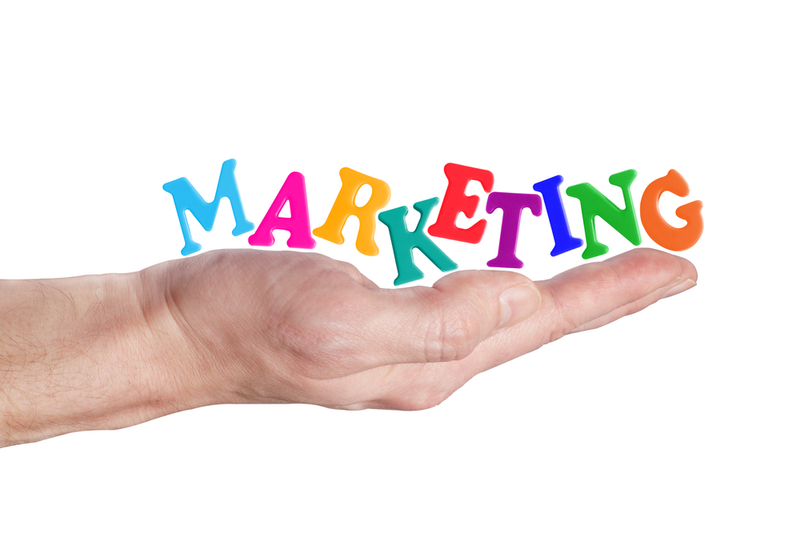 Have you ever hired a marketing company to create a marketing strategy? If not, why and if so, how was it helpful? I look forward to hearing from you in the comments below. Although my blog is dedicated to providing interesting tips, insights and sharing my marketing expertise with SMBs, the recent influx of boomers wanting to start their own businesses has spurred this week’s blog topic. However, SMB owners should note that many of these tips will also serve as a good refresher too. One of the biggest mistakes new businesses often make is skipping the development of a documented marketing strategy because they simply underestimate its importance. The best way to start planning your marketing activities is by creating a marketing strategy (a high-level overview of your marketing goals), then creating a marketing plan which outlines the specifics of which actions you’ll take to execute your marketing strategy. A USP is a summary of what makes your business unique and valuable to your target market. It answers the question: How does your business benefit your clients better than anyone else can? Establishing your target audience(s) is one of the key elements to all successful marketing. Be as specific as you can when identifying your target audience and remember your audience is NOT everyone who buys your product/service! Be as specific as you can be here, as knowing how your service/products benefit a customer will help you identify your marketing tactics. There should be details of benefits for every service/product. e.g. Product A benefits Hispanic seniors because it improves their B by 90%. You’ll need to answer what values and perceptions you want your brand to stand for and more importantly, how do you want your customers/clients to perceive you? What marketing tactics will you use to let your audience know you are open for business? Will you use online or offline marketing? You’ll need to know your audience and how they consume information, and then target them with your tactics. With these marketing fundamentals in place, you are ahead of the curve and the sky is the limit for your business. If you need some expert marketing advice let me know how I can help. I am always interested in hearing from you. Are you one of the boomers thinking about starting a business? If you’re a SMB owner was this a good refresher for you? Let me know in the comments below. If This Isn’t Marketing, Then What Is? I often come across small business owners who have spent their hard-earned money on ad-hoc advertising tactics, off-shore website designers, local printers and, more recently, SEO specialists and YouTube-focused video production companies. However, they find that these efforts yield little to no return on their advertising investments. These failures have left many small business owners feeling discouraged about investing in further marketing, as they think that marketing as a whole simply “doesn’t work”. As the owner of a marketing agency targeting small- and medium-sized businesses, I want to set the record straight: Marketing is not about how pretty it looks, or how cool it is – it’s about how effective it is. Marketing tools will have limited effects when developed without a clear purpose. However, when developed to support a marketing strategy, marketing tools can generate qualified leads, and thereby increase your results. In this blog, I’d like to advise you of a number of marketing tool suppliers that are often confused with actual marketers. If you are able to identify what results you can expect to get from these types of suppliers, the outcomes of any efforts undertaken with these individuals/companies will be easier to comprehend. As their name states, printers only know how to print marketing materials. They do not develop marketing strategies. Although some may offer web and logo design, or know how to layout your business cards and letterhead, this does not make them a marketer. Printing is nothing more than an advertising tactic. Web designers are individuals who can design a website, and will advise you on what makes the most sense to feature on your site from a navigational or flow perspective. They might know what looks best, and might even share with you some best practices of site design, but, typically, they are not marketers. Like print, web design is a marketing tactic or tool. Search Engine Optimization (SEO) specialists can help you to increase the chances of your site being located online, through search engines such as Google and Bing. Although I believe that SEO is one of the most important marketing tools available today, it is nothing more than a tool that should be used to support marketing strategies. Social media specialists are amazing at getting your brand out there, and keeping you relevant to your customers through social media strategies and implementation. This does not necessarily mean that they are marketers. Social media is a marketing tactic that should follow a strategy, and it should be aligned with your overarching marketing strategy. Although the word “marketing” is in the name, online marketing is, again, a tactic that needs to be identified and aligned with your marketing strategy. Many companies offer a proprietary online marketing tool “guaranteed to increase your sales”. This needs to be considered as part of a marketing strategy. Video marketing is undoubtedly a marketing tactic. Frequently, video marketing is provided by video production companies – individuals who can shoot and edit video, who lack a marketing background. As well, some marketing companies with no background in video often claim to provide these services. Professional video requires expertise in the field, and if used for marketing purposes, also requires alignment with your marketing strategy in order to be successful. If you only take away one point from this blog, let it be that marketing requires a strategy. Every vendor that you hire should be asking to see how their marketing tool aligns with your overall marketing plan, increases ROI, and will be measured against your marketing strategy. Do you have any questions about the difference between marketing tools and marketing strategies? Do you have any other marketing-related questions for me? Please share your questions and comments below.